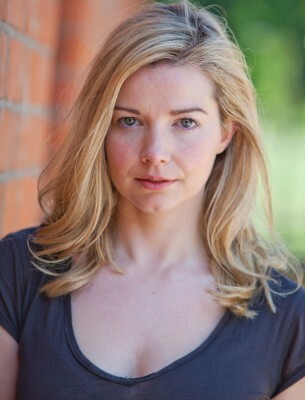 Janice most recently filmed the role of Aileen Collins in THE CASTLE directed by Lina Luzyte for Samson Films. Recent screen credits include zombie horror THE CURED directed by David Freyne for Tilted Pictures, premiered at Toronto International Film Festival in 2017, the role of Heria in US pilot DAWN directed by Robert Stromberg for Hulu, Betty Coogan in INSPEKTOR JURY: MORD IM NEBEL directed Florian Kern for ZDF Germany, Agniezka in Season 4 of Victorian crime drama RIPPER STREET directed by Luke Watson for Amazon Prime and the BBC and Nurse Beatrix in TV comedy series PLEBS directed by Sam Leifer for ITV2. Previous film and television work includes THE CLINIC directed by Lisa Mulcahy for Parallel, recurring role April Leonard in PRIMEVAL directed by Mark Everest (ITV), the title role in short film UNFOLD directed by Steven Daly (IADT), Gemma in 4-part crime drama AMBER directed by Thaddeus O’Sullivan for Screenworks, Jacinta in docudrama WHISTLEBLOWER directed by Dermot Boyd for Saffron Pictures (Best Single Drama IFTA 2009). In 2010, Janice was nominated an IFTA for ‘Best Actress in a Lead Role in a Feature Film’ for the role of Jenny Cassidy in ZONAD directed by John and Kieran Carney, released in cinemas nationwide and screened at the world renowned Tribeca Film Festival in New York. Recent theatre credits include Jackie in BEFORE MONSTERS WERE MADE directed by Ronan Phelan at Project Arts Centre, Louise in NOTEWORTHY at Theatre Upstairs and Sickle in FESTOPIA – PLACES FOR THAT directed by Jonathan Harden at Theatre 503. Further stage appearances include Anna in THE LAST DAYS OF A RELUCTANT TYRANT by Tom Murphy and Sarah in Brian Friel’s TRANSLATIONS directed by Conall Morrison at the Abbey Theatre. Previous stage work includes Annie Ryan’s production of DUBLINERS presented by Corn Exchange as part of the Dublin Theatre Festival 2012, DANCING AT LUGHNASA (Theatre Space), STEAMING at Axis Arts Centre and TOP GIRLS directed by Jason Byrne for Galloglass.